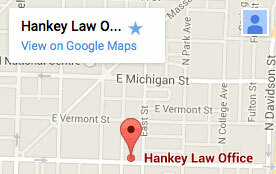 Hankey Law Office > Blog > Indiana Long Term Disability Attorney > Doctor Files Long Term Disability Lawsuit Against Guardian Life Insurance Co. Doctor Files Long Term Disability Lawsuit Against Guardian Life Insurance Co.
A New Jersey man has filed a long term disability lawsuit against The Guardian Life Insurance Company of America. The lawsuit was filed Tuesday in the United States Southern District Court of New York. According to court documents, Guardian Life Insurance is refusing to pay long term disability insurance benefits to a New Jersey OB/GYN who was critically injured in a car accident. Guardian claims that, while the doctor paid his premiums in full, he is not entitled to disability benefits because he occasionally engaged in medical work not directly related to his field. If you have been denied the long term disability benefits you deserve, please contact the Indiana long term disability attorneys of the Hankey Law Office, by calling (800) 520-3633.